Topics: Preface, Chapters, Postscript, Appendices, and The Dark Ages. 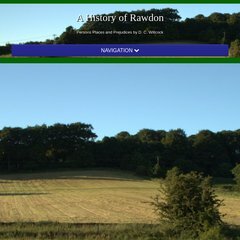 There are 1 Nameservers, ns.a-history-of-rawdon.co.uk. The programming language environment is ASP.NET. It is hosted by Fasthosts Internet Limited - Uk S Largest Web Hosting Company (England, Gloucester,) using Microsoft-IIS/7 web server. PING (109.228.14.80) 56(84) bytes of data. Pinging the server, resulted in a 121 ms response.